Interested in pursuing a more ergonomic setup? 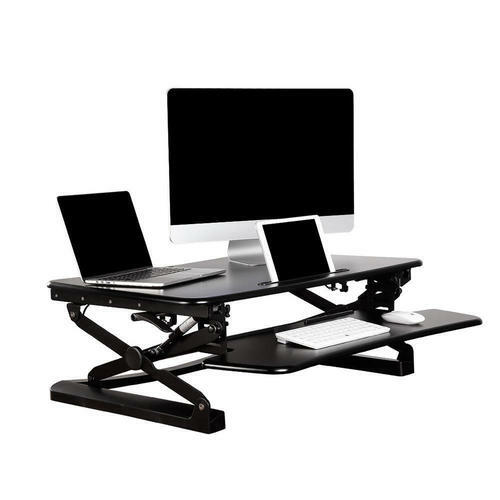 OTV stocks Sit/Stand adjustable desk risers and a variety of other ergonomic products such as mice, keyboards and standing pads. This particular riser from Prime Cables is convenient and easy to use either sitting or standing. 22 height settings for optimal viewing height. Gas spring creates smooth and quick transitions. Large surface for placing more devices. You can view more of our ergonomic items here! Looking for a quick and easy gift? We sell gift certificates in any denomination. See details in store for more information.